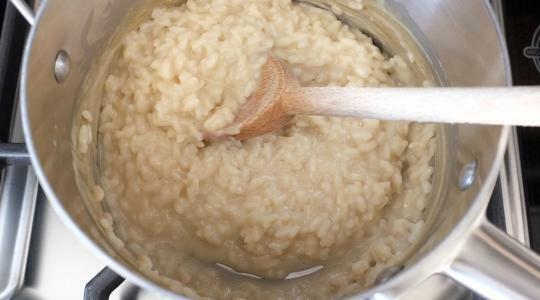 In a medium saucepan, combine the rice and oat milk. Place over medium heat and let come to a simmer. Simmer, stirring occasionally, until the rice is tender and the mixture is creamy, about 25 minutes (you may have to reduce the heat to keep at a gentle simmer). If you want it a little creamier, add some more milk. 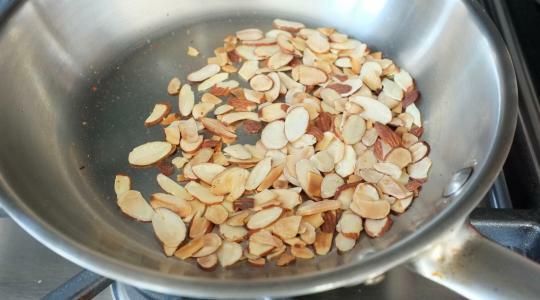 While the rice simmers, toast the almonds: place them in a small skillet over medium heat. Cook, tossing often, until golden brown, 3 to 5 minutes. Divide the rice pudding among small plates or bowls. 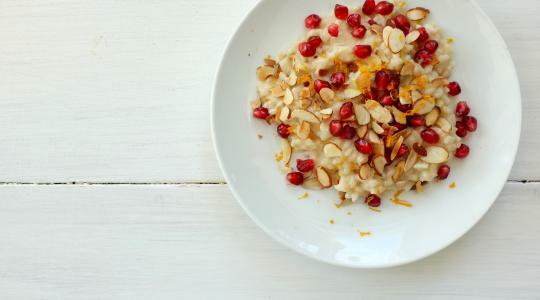 Top each with some almonds, pomegranate seeds, and grated orange zest.